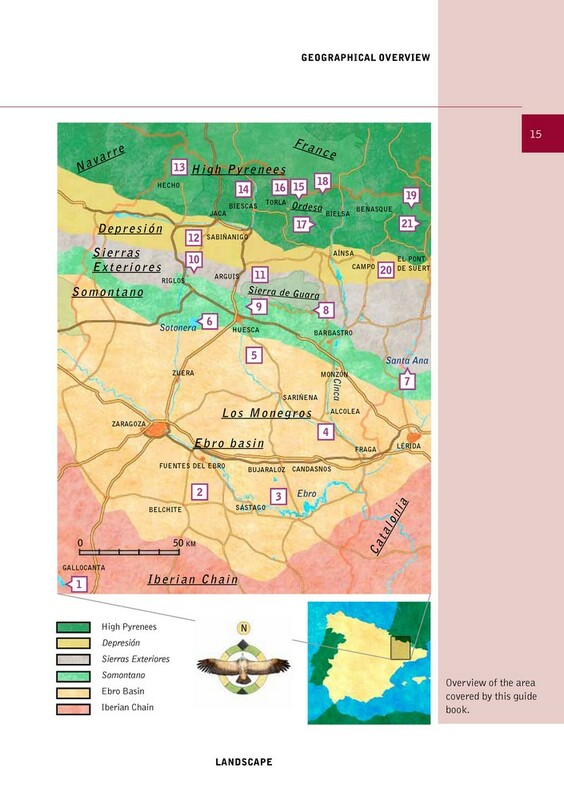 Huesca (Spain) is the northern, and most diverse, of Aragon’s three provinces. 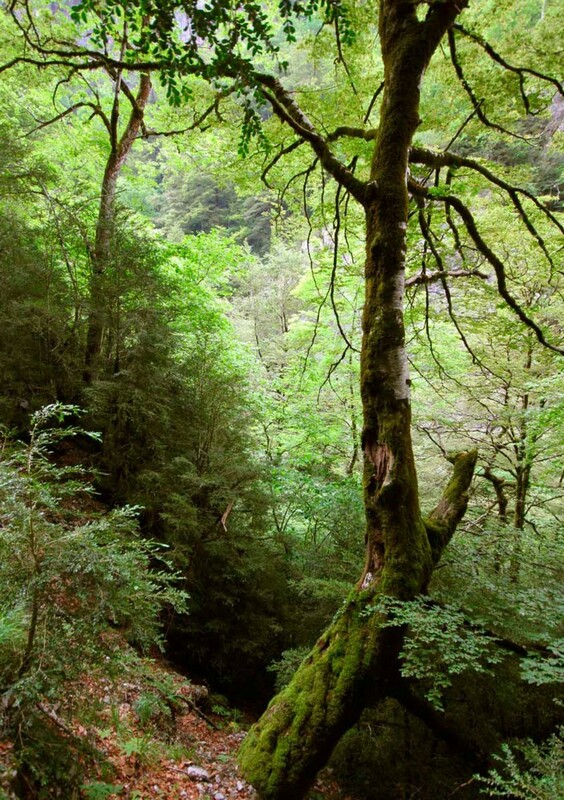 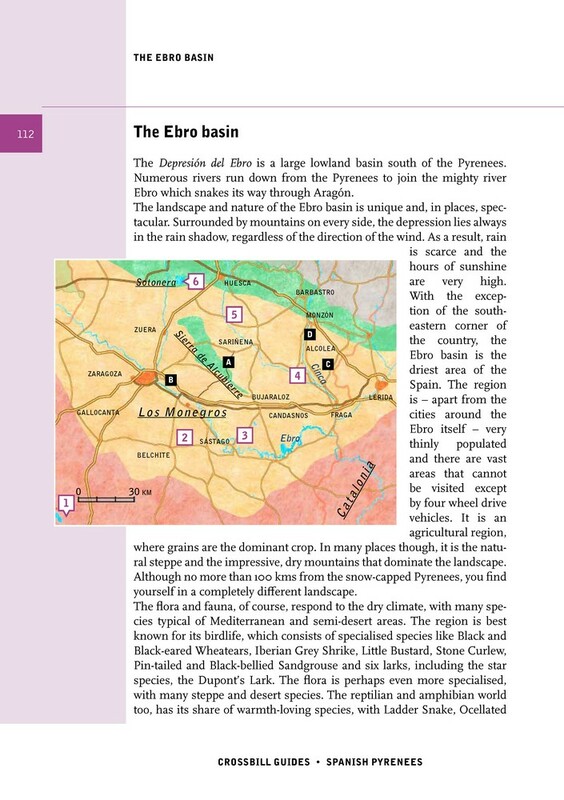 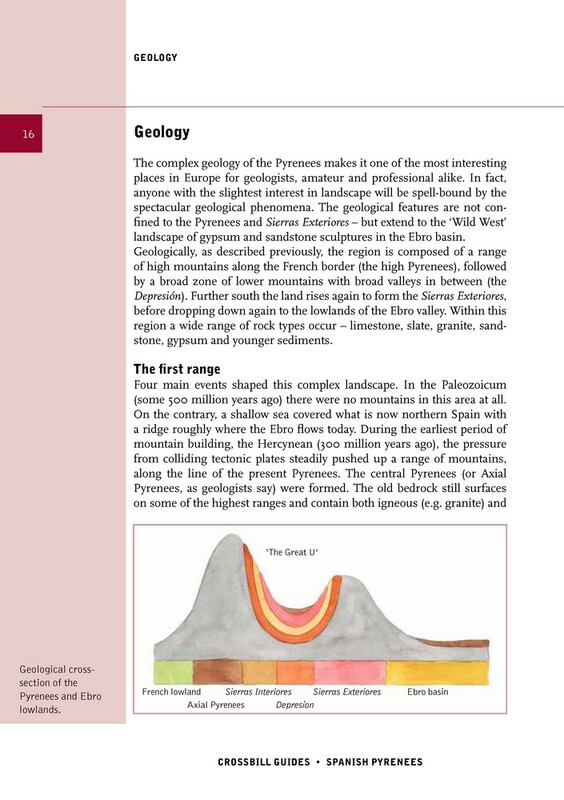 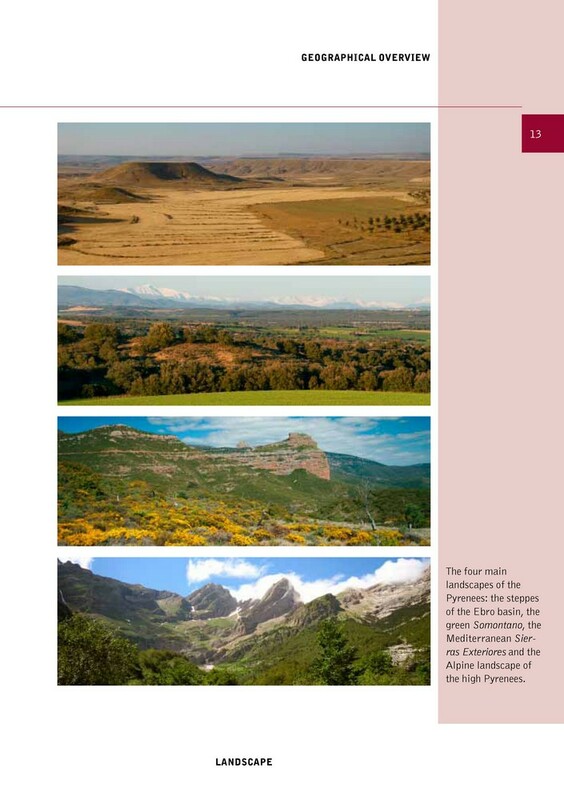 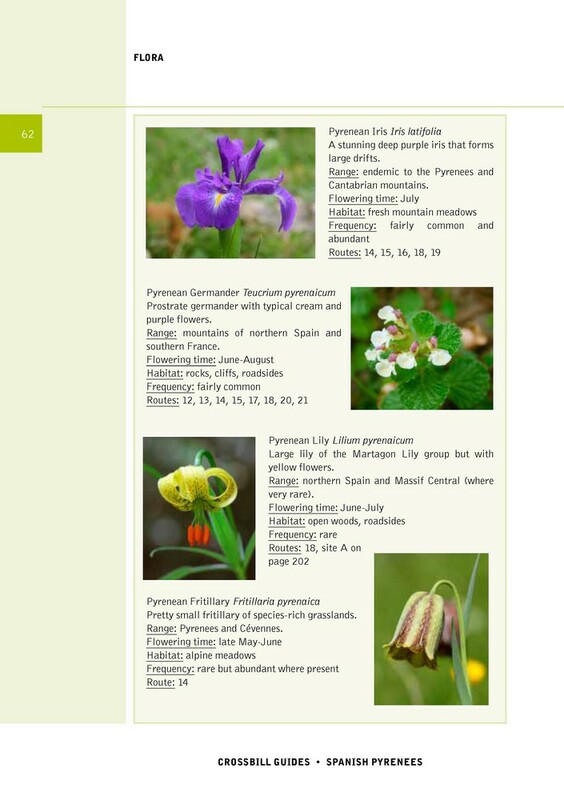 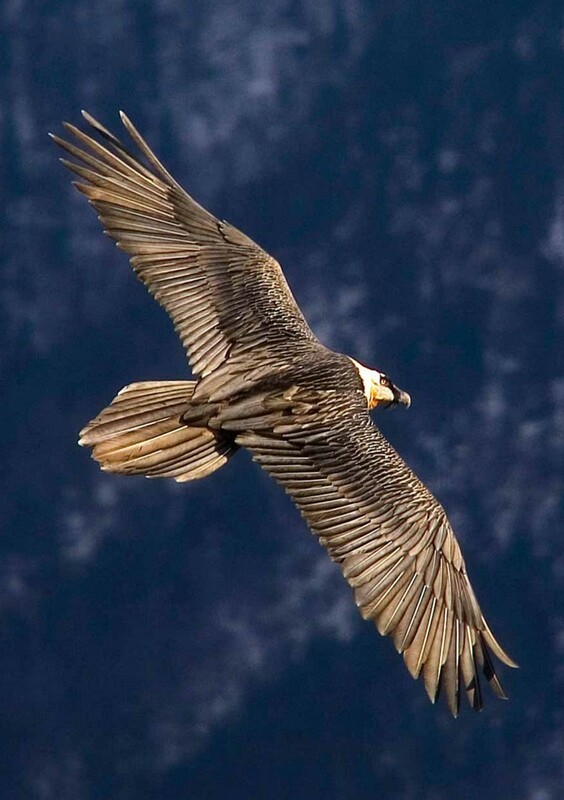 It covers both the wild High Pyrenees, their wooded foothills and the steppes in the basin of the Ebro. 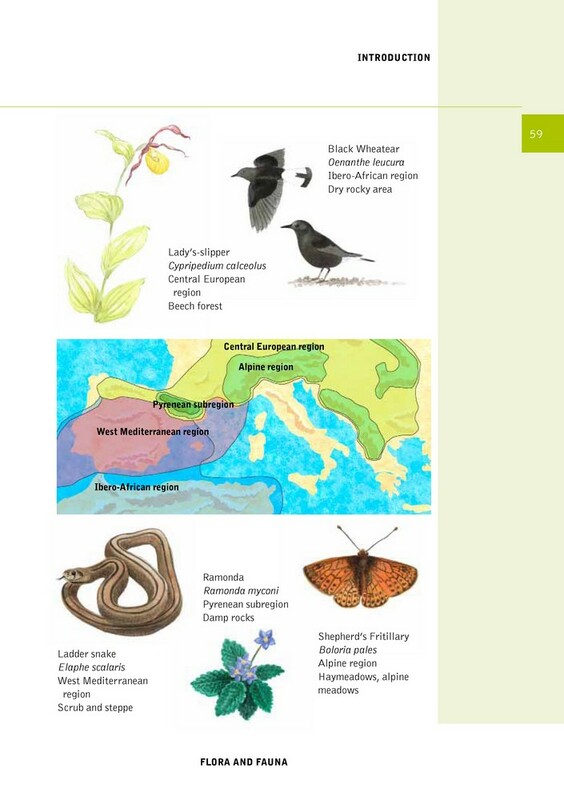 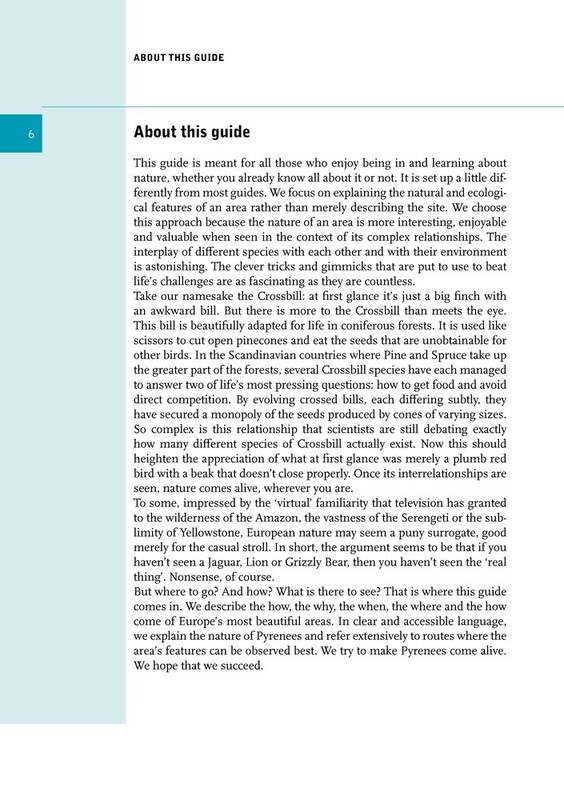 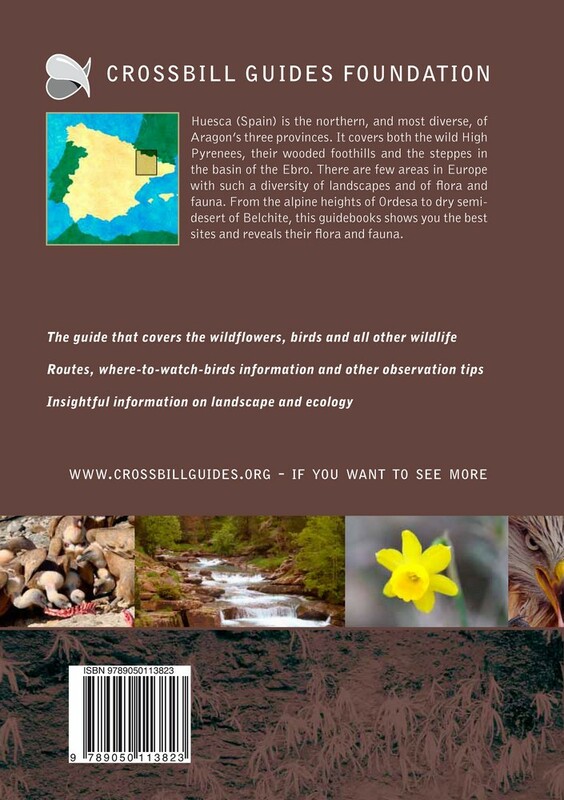 There are few areas in Europe with such a diversity of landscapes and of flora and fauna. 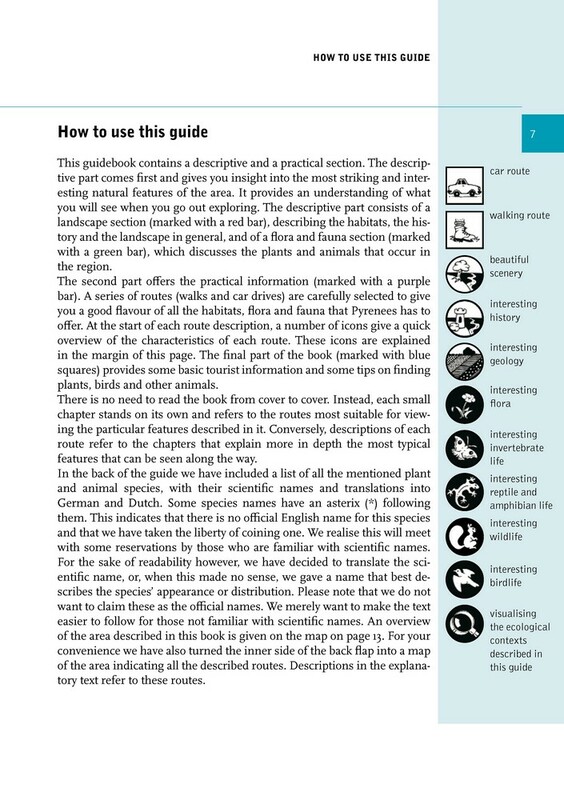 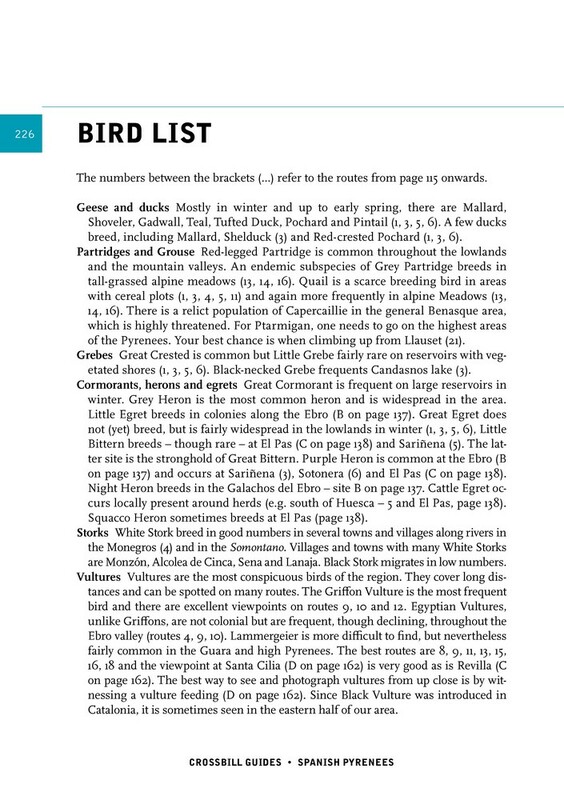 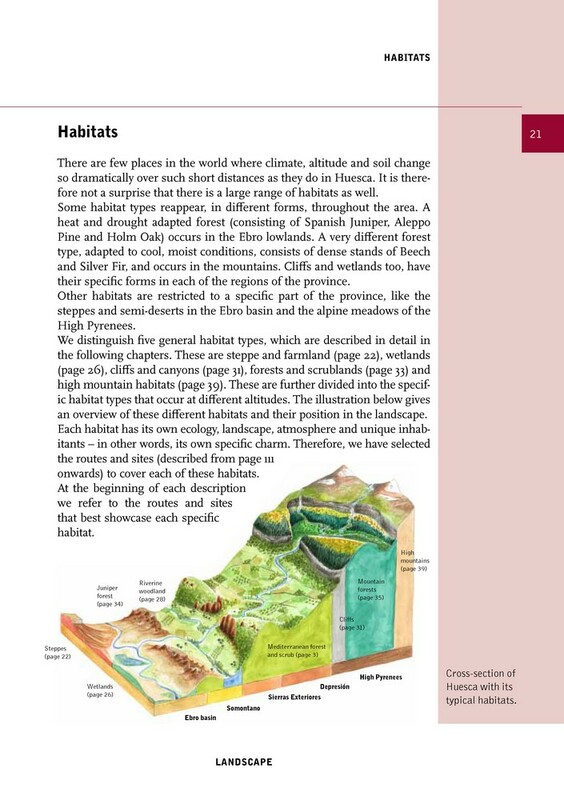 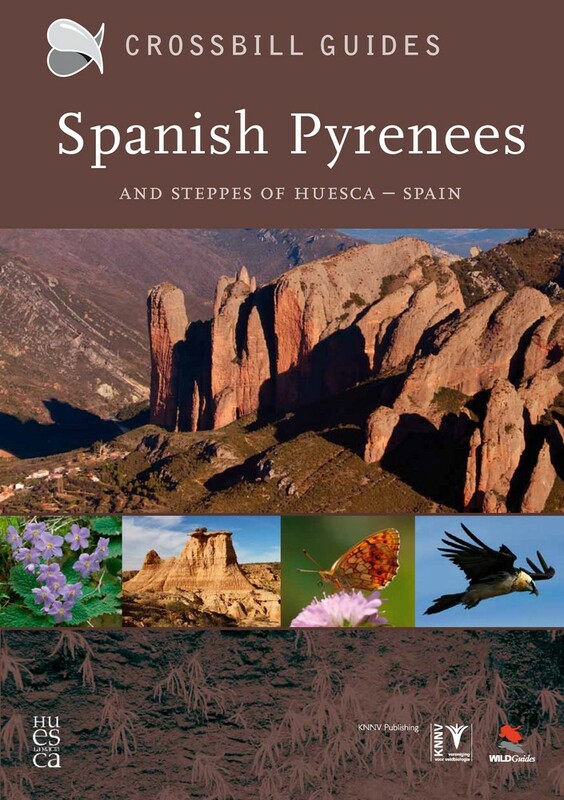 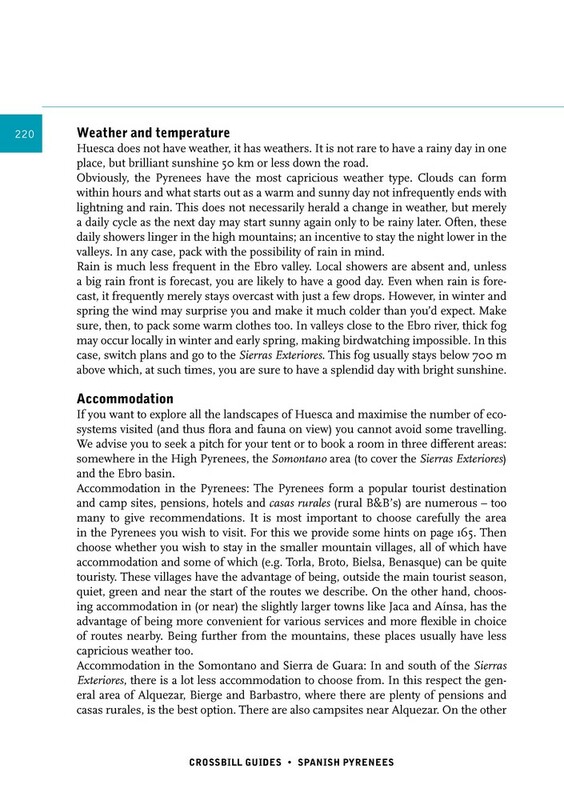 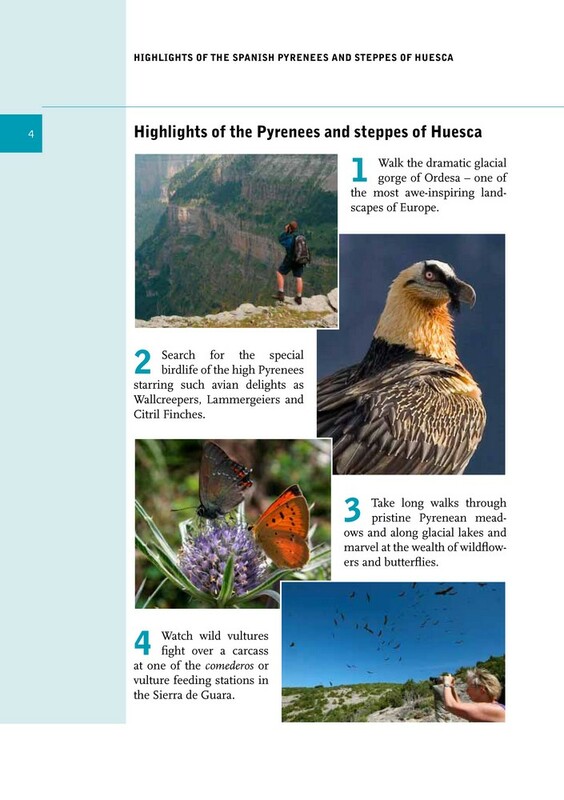 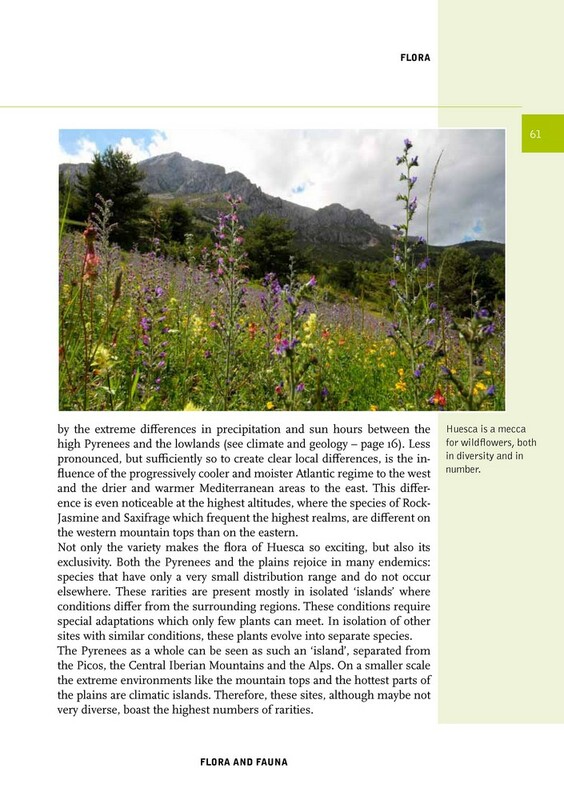 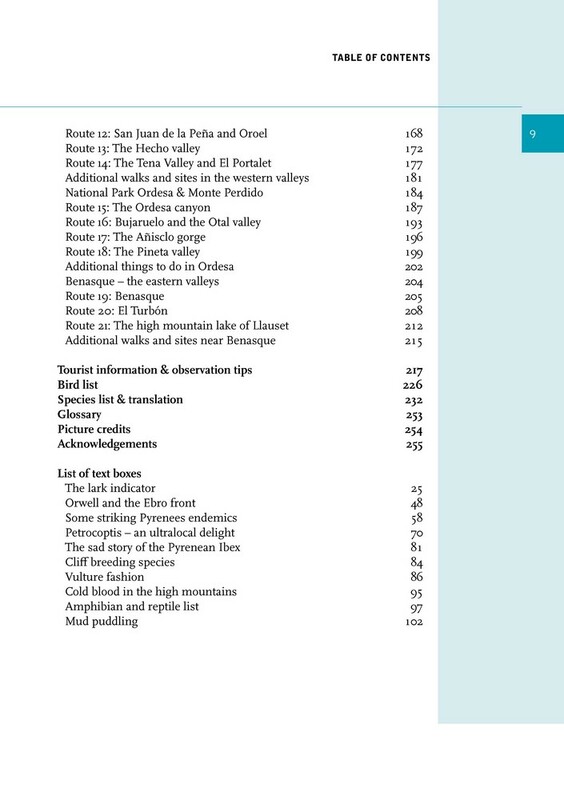 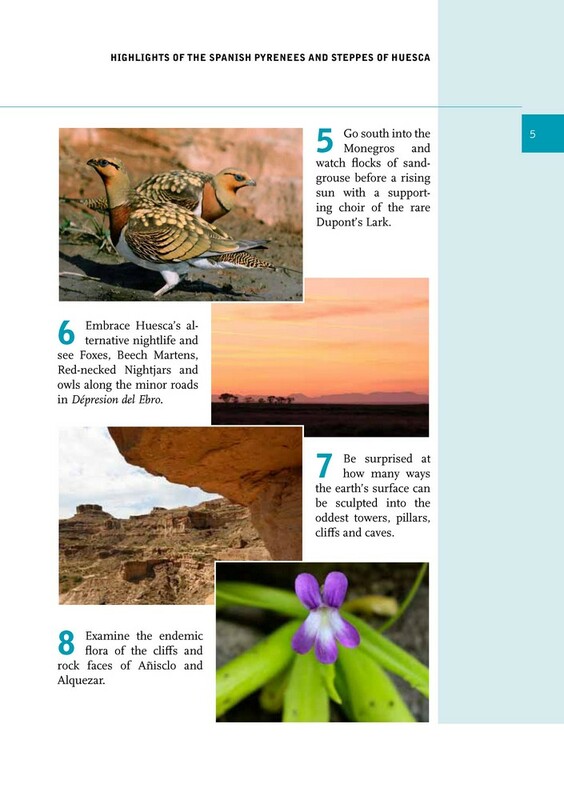 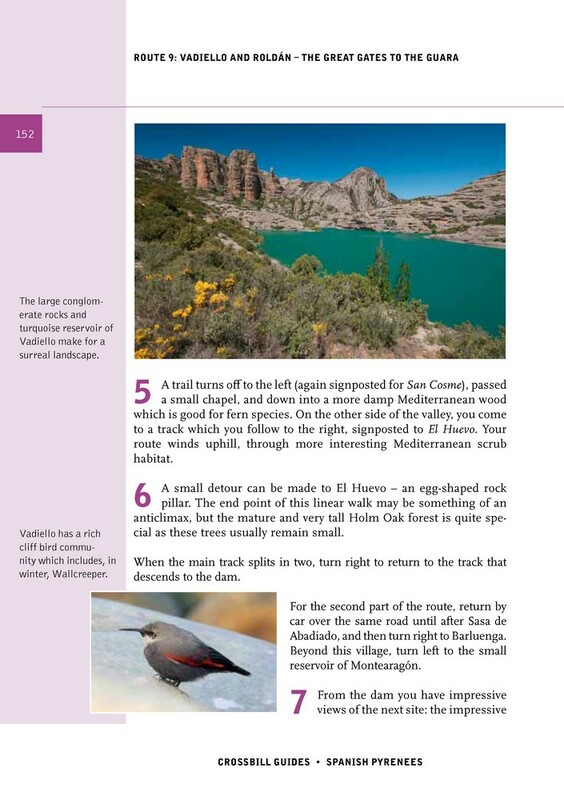 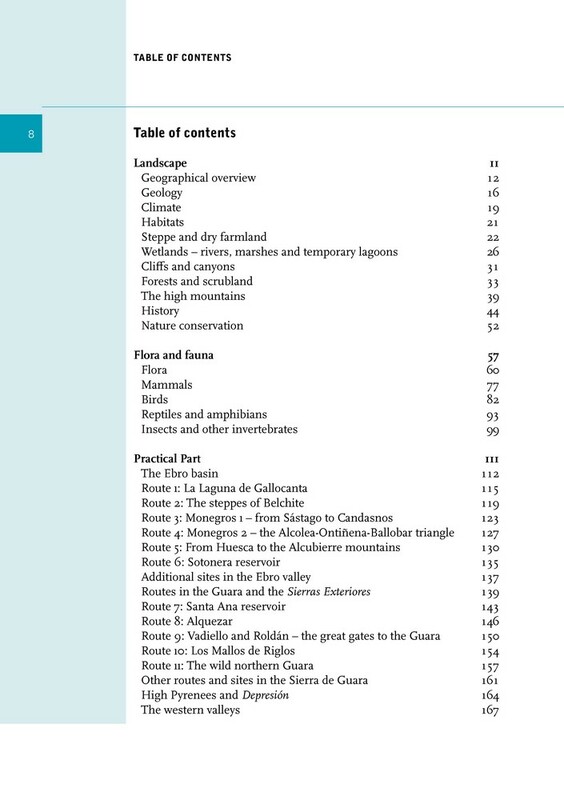 From the alpine heights of Ordesa to dry semidesert of Belchite, this guidebook shows you the best sites and reveals their flora and fauna.